I have finally "upgraded" to the 64 bit Prepared. I am looking for scenery that exploits the technology. I replaced my LSZH with the 64 bit version and it's superb! 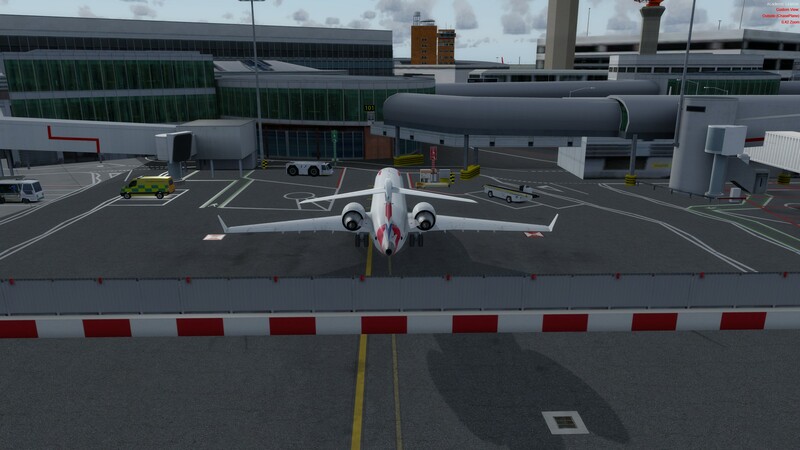 I recently purchased EGLL and found a few strange anomalies. There are jet blast barriers blocking the first "A" gates in the scenery. These are incorrectly placed and spoil the scenery. The radar dish receivers do not rotate. 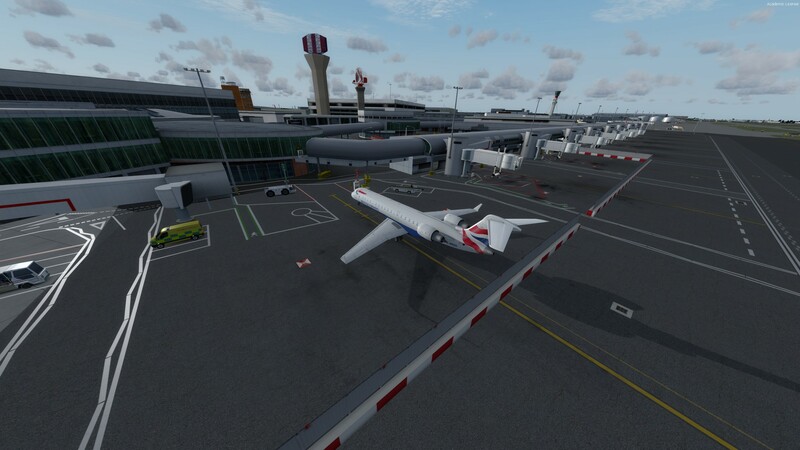 I am not aware if this is an intended animation omission, however it's a disappointment considering it's a Mega Scenery Airport add on and in 64 bits as well? We don't have any VAS limits anymore! At dusk, there are some flickering airport buildings, as the lighting illuminates. These are the negative points, no doubt easily corrected in an update, which I look forward to. There are jet blast barriers blocking the first "A" gates in the scenery. The radar dish receivers do not rotate. Showing screenshots of those areas would be helpfull to check. 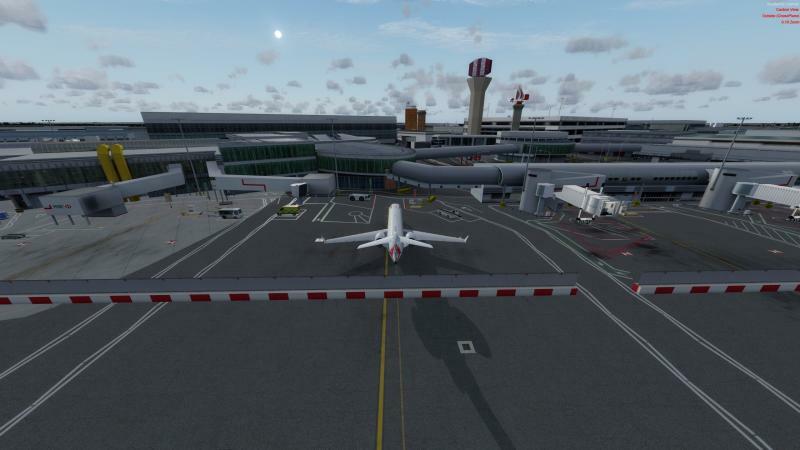 I attach some screenshots of the gates A 109 through to A 176. I am at A 101 the non rotating Radr towers are in the background, I am afraid you will have to take my word that they don't rotate! The flickering graphics are only present at night/dusk and would require a video to demonstrate this. Correct, you can take this information from actual charts for EGLL. Cant comment the Radar and flickering for the moment. also I do not remember to have seen this in the past. Maybe it got something to do with the order in the scenery library in combination with other addons (e.g. traffic). Also in some very rare cases it might be a local PC problem with a certain combination of drivers. The Radar in the centerarea is out of service in real. Trust me to pick gate 101 that's out of service! So the ground radar dishes are u/s as well! As for the flickering graphics, it's only on certain buildings seen from a distance. Early days yet for P3dv4, must be more to come? 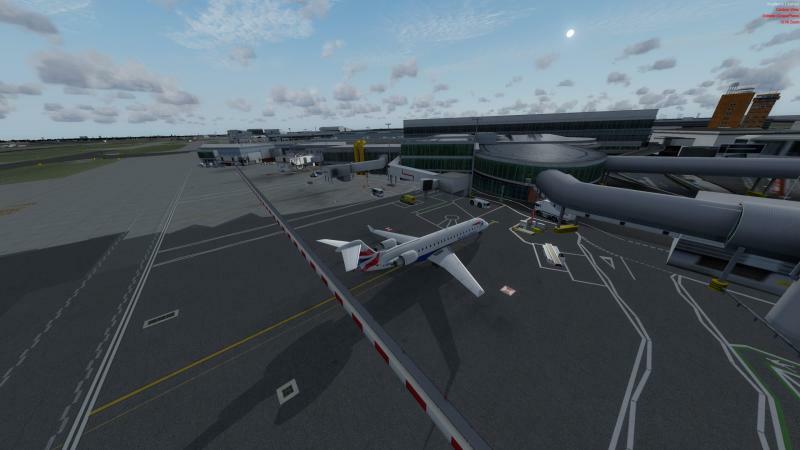 I purchased this scenery from Just Flight under their made for P3dv4 category. The flickering on certain buildings is too great a distraction for me. Has this really been tested in P3dv4? The graphics all look very "flat", not like I would expect for a scenery developed for a 64 bit simulator. I must say I am disappointed, with this product.